The Zatar Burger is born, and just in time for Memorial Day Weekend! The bright dipping sauce is a mix of hummus, ketchup, a splash of mustard, and a generic (but good) Arabic spice blend. Thin out the sauce with water if you need to. I'm feeling festive lately. Mainly because a holiday weekend looms. (I get the actual holiday off this time, which is great). 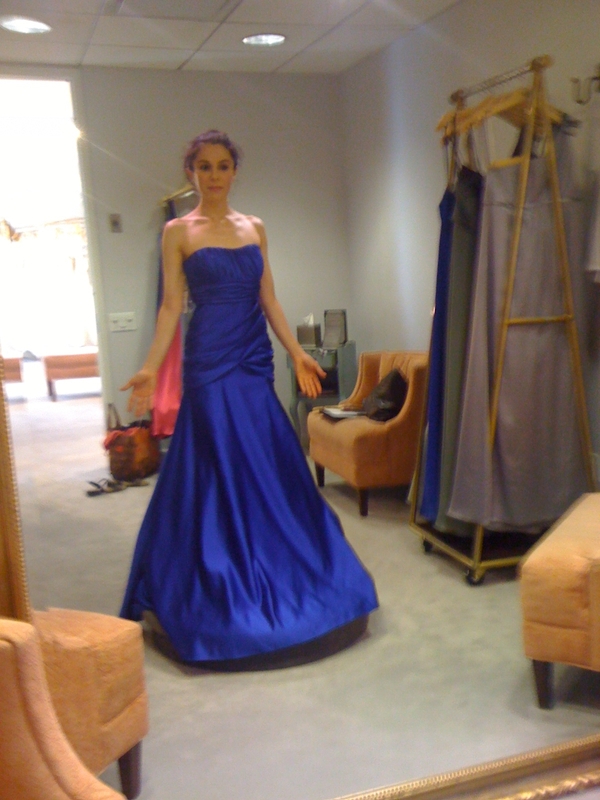 But the festive feeling might also stem from the fact that I was a "fit model" this week for my friend Denise's bridesmaid dress shopping expedition. As one of her bridesmaids, I might get to wear this lovely number to her wedding in March. With Memorial Day around the corner, I figured it’d be timely and tasty to offer up a creative burger option. Burgers are fun because you’re only limited by your imagination as to how you can pump them full of flavor. Just make sure to buy the best organic, humanely raised, grass-fed meat you can afford, to ensure your burgers aren’t pumped full of hormones as well. An easy and festive burger to make. Recently, I was in the mood for a creative burger with a Middle Eastern flavor. Okay, I know some of you are thinking, “Why not just make kebab? Duh!” Point taken, but I wanted something that was more East Meets West. 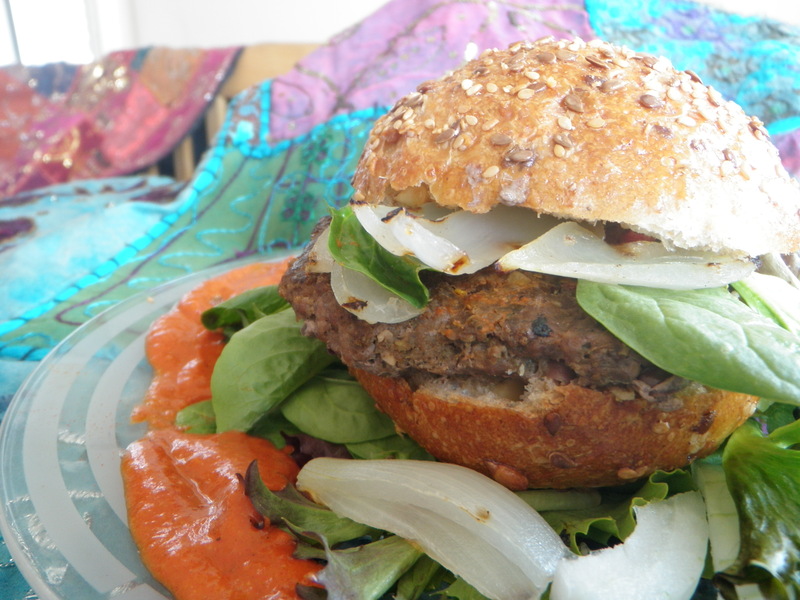 Plus, I wanted to enjoy that decadent brioche roll/burger bun that was lurking in my freezer! Dear Lord how I love a good brioche, or a challah bread for that matter. Siiiiggghhhhh. . . So I tossed together some organic bison meat (it’s leaner than beef), some steak seasoning, some zatar (more on that later), olive bits, sundried tomato bits, fresh grated onion and grated garlic. Then I bound everything with a splash of ketchup and Worchestshire and voila! The Zatar Burger was born! A juicy, flavorful, and creative burger that almost didn’t need the brioche bun to taste perfect. Oh, and for the record, I photographed this burger on a multi-grain bun because it (surprisingly!) looked much nicer than the brioche. Which was moot, because the brioche was long gone by the time I got around to photographing this recipe anyways, but I digress. 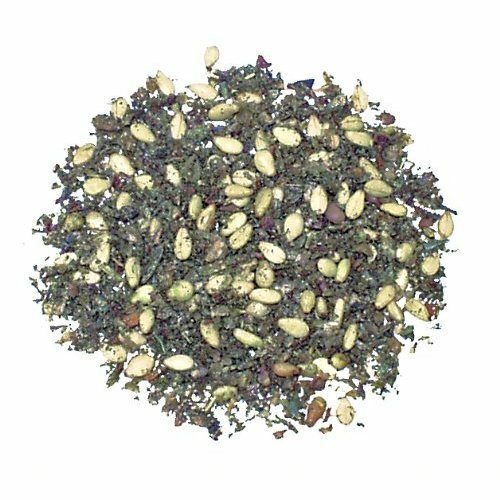 An example of zatar. Some mixes are greener. Some are more earth-toned. All are delicous. Onward to zatar. What is it? 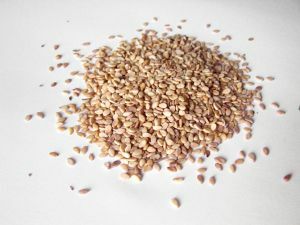 I blogged about it here, but a quickie explanation for now is that it’s an aromatic herb and sesame seed blend popular in many Middle Eastern countries. Sesame seeds and dried, milled herbs form this versatile powdery substance. Some of the traditional ways of serving it are on breads or as a dip when you soak some in olive oil. I like to think outside of the traditional methods, and often use it in salads, sprinkled onto veggies of all sorts, and of course, in today’s burger. Don’t have zatar on hand? No problem; an equal amount of herbs de Provence will do. Don’t have that either? Sprinkle in some oregano, dried thyme, and sesame seeds to approximate that fantastic zatar taste. 3 Tablespoons Zatar blend of choice OR 3 Tablespoons herbs de Provence plus 1 teaspoon sesame seeds OR 1 Tablespoon each of thyme, oregano, and sesame seeds. 1. To prep burgers, grate half of onion and garlic into a bowl. (Cut the rest of the onion into slices to grill alongside burgers) Add in all spices, including zatar and stir. Then add in wet ingredients (ketchup and optional Worcestershire sauce) and stir again. Finally, add in olive and sundried tomato bits, and mix well. 2. Add in ground meat, and mix gently with hands to incorporate spice paste mix into meat. Don’t overwork. Form into four equal size patties, and grill on indoor or outdoor grill of choice until desire doneness is reached. When you flip the burgers, add the onion chunks to the grill to cook. 3. 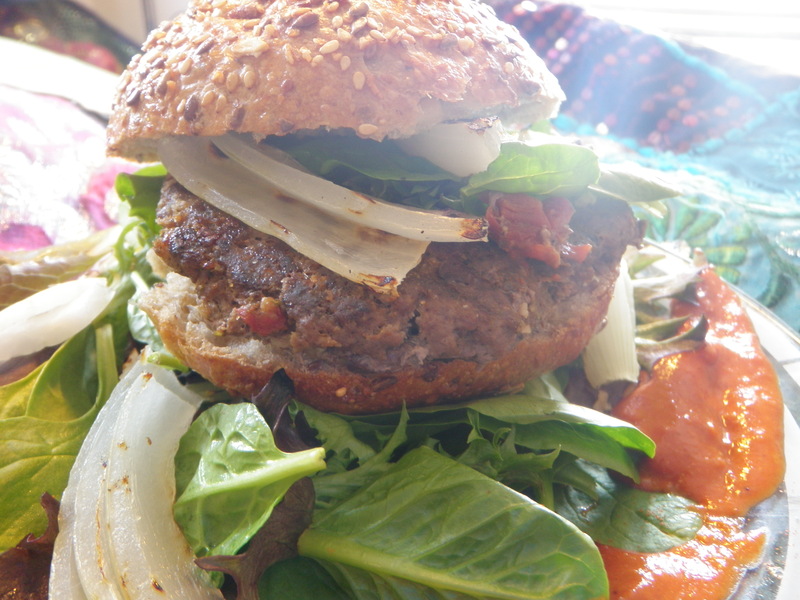 Arrange burgers in desired manner–on buns, atop a salad, or even wrapped in pita or lavash bread. If desired, serve with burger fixing of your choice. My preference is to serve them with slabs of grilled onion and hummus ketchup (recipe in note below). NOTE: Optional Flexible Hummus Ketchup: Use a fork to mix together equal amounts premade hummus and ketchup in a small bowl. Add in a splash (teaspoon) of mustard, and a tablespoon of any Arabic spice blend. If you want a redder dip, add in some paprika or increase the amount of ketchup. If dip tastes too sweet, balance the flavor with some lemon or lime juice. Mix well and serve with burgers as a dipping sauce. For a garlicky kick, grate in some garlic. If a spicier flavor is desired, add a pinch or two of cayenne pepper. Just a little tahini-red pepper-cumin dressing that I whipped up in a blender, but it's an oh-so-tasty way to dress a salad. We’ve talked before about how I eat a lot of salads. Love them! So dressing them properly and deliciously is of the utmost importance. Dressing a salad isn’t so different from dressing one’s self, I suppose. Now I’m much more foodie that fashionista any day, but there are indeed parallels when it comes to this dressing business. Dressing a salad with a tasty, inviting option reminds me of donning a gorgeous outfit paired with the perfect accessories. Sometimes the accessories even steal the show and garner the most compliments! As for accessorizing my salads, I avoid the bottled stuff unless I’m in a situation where there’s no practical way to make my own dressing. Even the best bottled dressings don’t hold a candle to a good, homemade dressing, IMHO. Fighting words? Maybe! Check out the accessories I chose to go with this outfit--gold heels and some fun bangles. 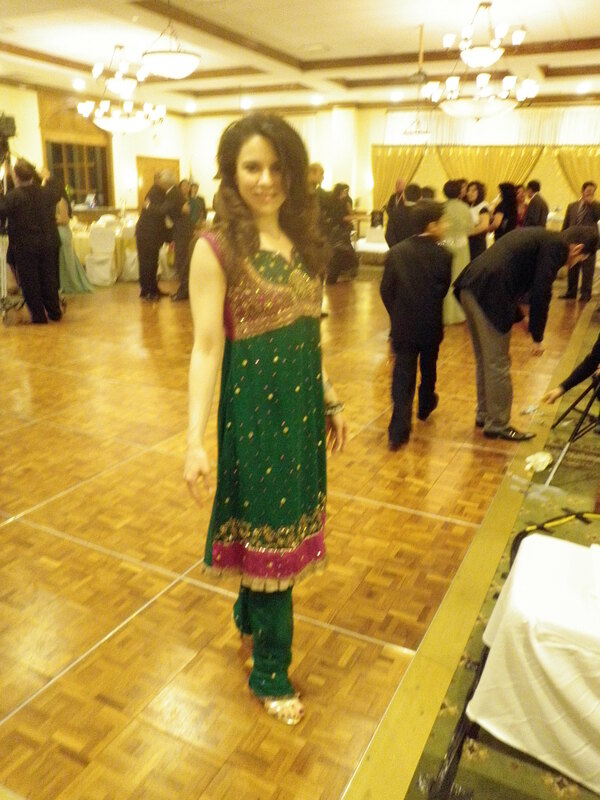 Nope, wasn't going for the minimalist look that night at my friend's traditional Afghan wedding! Yeah, dressings usually have fat, but can be good fat, especially in moderation and if the dressing motivates you to eat more salad and veggies. Here’s my latest salad dressing creation, with it’s brick-red color and the bold flavors of mellow tahini, sweet red pepper, and earthy cumin give it that Middle Eastern vibe I love so much. It has a hint of spice and a pleasant smokiness in the background. Oh, and I even snuck in some super healthy flax seeds, which are great for, among other things, the skin and digestive system. Cuz I’m stealthy healthy like that ;-)! You can bet we’ll be whipping up a batch of this brick red beauty this weekend at the Yoga retreat I’m hosting. For now, mas-salama and shanti, ya’ll! 1. Put all ingredients except water into the blender. Add enough water so that everything can move around when the blender’s on. Add more water as needed to create the desired consistency. Taste and adjust seasoning if desired. Zatar. Not many of my friends have heard of this wonderful stuff, so I often serve it as an app at dinner parties to spread the good word. So what is it? It’s generally a mixture of toasted sesame seeds. . .
. . .and very finely ground dried herbs and spices. Herbs in their dried and finely ground form are another key ingredient in zatar. There are probably as many iterations of zatar as their are towns in the Middle East. (For that matter, there are several different ways to spell it: zatar, zahtar, zaa’tar, and so on). 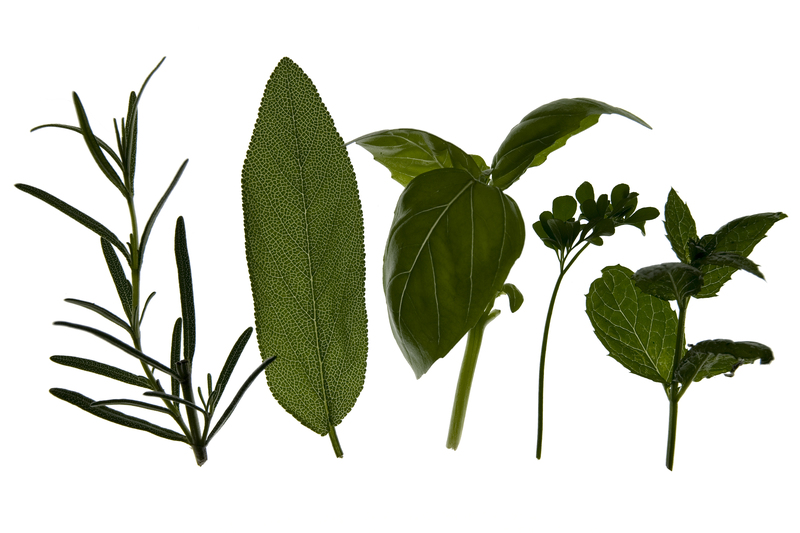 Herbs like thyme, oregano, sage, and rosemary, to name but a few, can find their way into the mix. So here’s the lore on zatar. It’s filling, but won’t weigh you down. (Wow, that sounds kinda beer-ad-sloganesque!) Students often eat it before exams for energy and alterness. It’s cleansing and aids digestion, which is why some people swear by it as a weight loss aid. It can help you out if you’re feeling unwell. (Again, the whole cleansing thing). There are many ways one can use zatar. For example, a popular way to enjoy it is as a topping on warm pita. I like to sprinkle it on salads and roasted vegetables. Most often, though, I make a quick zatar dip. It’s simple. Zatar, just before I chopped and added a clove of fresh garlic to the dip. 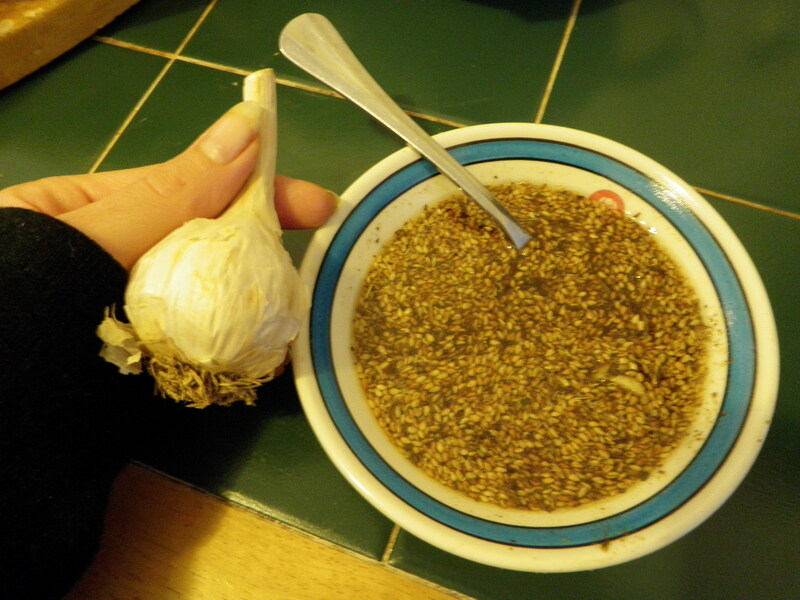 This is how I make the dip: I pour some zatar in a small, shallow bowl. I pour olive oil on top of the zatar, and mix well. Then I put fresh pieces of chopped garlic bits on top. Yes, I eat raw garlic sometimes. I happen to really love it. Don’t knock it–it’s a very good immune system boost. Just make sure to enjoy it with like-minded people. Or alone! Call this dip a triple threat: I’ve eaten this dip as an appetizer, as part of brunch or breakfast, or alone for dinner. Well, not completely alone–with some pita for dipping. Some people like the dip more oily, and less pasty. My personal preference is to let the zatar stand out, while the olive oil binds it all together. Otherwise, you have an olive oil dip flavored with zatar, not a zatar dip with some olive oil. Of course, adjust the thickness of the dip to your preference. If you end up with too much oil, add more zatar. If you end up with too much zatar, simply add more oil. One very important note: Many zatar mixes are pre-salted, so keep this in mind if you’re adding it to recipes. Have fun! Feel free to share some of your zatar uses with me in the comments. The weather is cooling down where I live, and when this happens, I generally prefer that my food have a nice roasty and toasty flavor. Which makes now the perfect time to post the other version of muhamarra dip–the much-loved red bell pepper, walnut, and pomegranate dip popular throughout many countries of the Middle East. Raw Muhammara dip has a lighter color than the cooked version of the dip. Both are beautiful! If roasting bell peppers by hand isn't your thing, pick up a jar at the store. Make sure to rinse well before using. all-natural. . .Vegan, contains no animal byproducts, and is gluten free. Colgin Liquid Smoke is not a chemical or synthetic flavor – but genuine wood smoke “liquefied.” The wood is placed in large retorts where intense heat is applied, causing the wood to smolder (not burn). I swear this isn’t a shameless product endorsement. The folks at Colgin haven’t greased my palm for mentioning their product. Here’s what it looks like. Liquid smoke. All natural, believe it or not! A little of this goes a long way, so one bottle will last quite awhile. For the record, there are many other great brands of liquid smoke on store shelves. It varies from region to region. 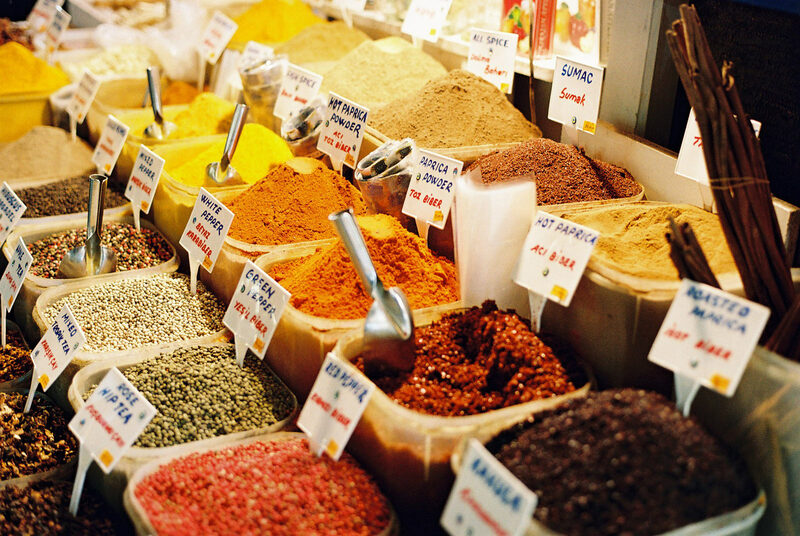 Look on the aisle of your local store where spices and extracts are sold. 11/2 Cups walnuts pieces or halves. Unsalted is best. Lightly toast the nuts and the whole garlic cloves on the stovetop in a skillet over medium low. Turn the nuts and garlic frequently so they don’t burn on one side. When their color deepens and the nutty fragrance begins to come through, they’re ready. Remove them from heat immediately. Preheat oven to 400 degrees Farenheit. Spread walnuts and the garlic cloves in a single layer on a baking sheet, and toast until lightly browned and fragrant. (The scent will tell you when they’re ready). To be on the safe side and avoid burning, you can set a timer for 5 minutes and check them, turning them at this time. Optional step for an extra smokey flavor–mix in the ground cumin and toast for 30 seconds before removing the skillet from the heat or the pan from the oven. Add all ingredients to a blender, and blend until smooth and silky. Adjust seasoning, lemon, and olive oil to taste. Re-blend if needed. That’s it! The dip will thicken if refrigerated. Serve with pita bread and/or raw or roasted veggies. 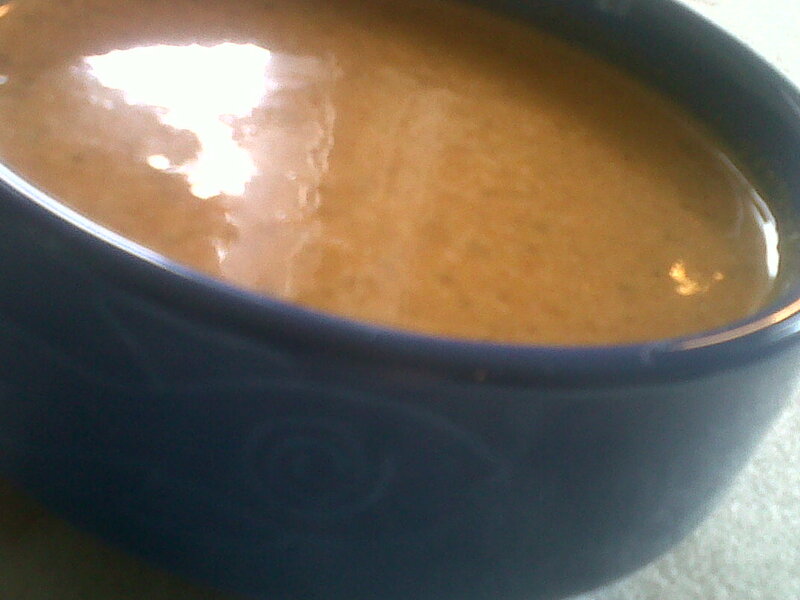 NOTE: You might be tempted to add more liquid to get the ingredients to meld and blend. If you choose to do so, just go very slowly. You can always add more liquid, but it’s hard to get the dip to thicken up if it’s become too watery. Hey now–Don’t toss it if you find it too watery. Give it a chance to thicken up in the fridge. Or use it as a sauce, sandwich spread, and/or salad dressing. I love dips. They’re such fun. Great for sharing, great for eating alone. And hey, eating them alone means it’s okay to double dip! They’re wonderful for an energizing and tasty snack and perfect as part of a meal. Sometimes the ingredients that make up a dip are truly beautiful together. Separate them, and perhaps they’re lovely in their own way. Maybe. . .
Today we’re making a Raw Muhamarra dip recipe. (More on that later). First, confession time: I’m generally not a huge fan of one of today’s dip’s main ingredient. Bell peppers. To me, their flavor tends to dominate a dish. If I order a veggie pizza or a salad, for example, I’ll ask them to leave bell pepps out of the mix if at all possible. Even bell peppers that aren’t organically grown seem to have that dominating taste fully intact. So why then, do I love them so much in today’s dip, Muhammara? Maybe because they marry so well with fresh walnuts, pomegranate, and a dash of cumin. Perhaps the other ingredients bring out the best in the peppers, and maybe even vice versa. What can I say? Life is full of mysteries, no? An aside. It’s funny to think of how strong that bell pepper flavor can be, especially when you consider how other garden goodies often lose their taste completely when they’re mass-produced. True story: Until visiting Syria, I was under the impression that I hated apricots. To me, they were flavorless, mealy, and bland. A total waste of time! A season of locally grown Syrian apricots disabused me of that notion. They were similar in texture to a ripe peach or nectarine, and so fragrant and juicy! But back stateside, such tender and tasty apricots are nearly impossible to find, at least in my experience. So this is my convoluted way of saying: Bell peppers must be pretty darn strong to resist the forces of mass production. Other produce isn’t so lucky. Paging tomatoes and store-bought apples! The one place where I truly LOVE bell peppers is in Muhammara dip. Today’s version looks something like this. Google around, and you’ll see that some recipes are darker in color. Muhammara dip. A great use of bell peppers. This dip is a staple in countires like Syria, Lebanon, Jordan. Here’s my recipe for a fully raw Muhamarra dip. I’ll post the (lightly) cooked version soon, so that you can compare and decide which one you like best. For the record, this dip makes a fantastic salad dressing when thinned out with a bit of water. Bonus: Bell peppers are in season now, and I got mine from the farmer’s market. They were so sweet and almost too beautiful to eat! Instructions: Add all ingredients to a blender, and blend until smooth and silky. Adjust seasoning, lemon, and olive oil to taste. Re-blend if needed. That’s it! The dip will thicken if refrigerated. Serve with raw veggies. Slices of fresh zucchini are my favorite.